This post has been sponsored by PinkBlush. All content and opinions are mine alone. Happy, happy Friday! This was the first week in a long while that went by exceptionally fast. And that's saying something considering my little has had a fever all the week long. I'm happy to report it broke this morning, and I think we're on the mend! One of the best parts of the week were the sick cuddles. While I hate that Greer was feeling bad, I love that I got some snuggle time with my girl who is always too busy to cuddle up. Speaking of favorites, the weather this week was amazing! It was a tease of summer weather and perfectly delightful. 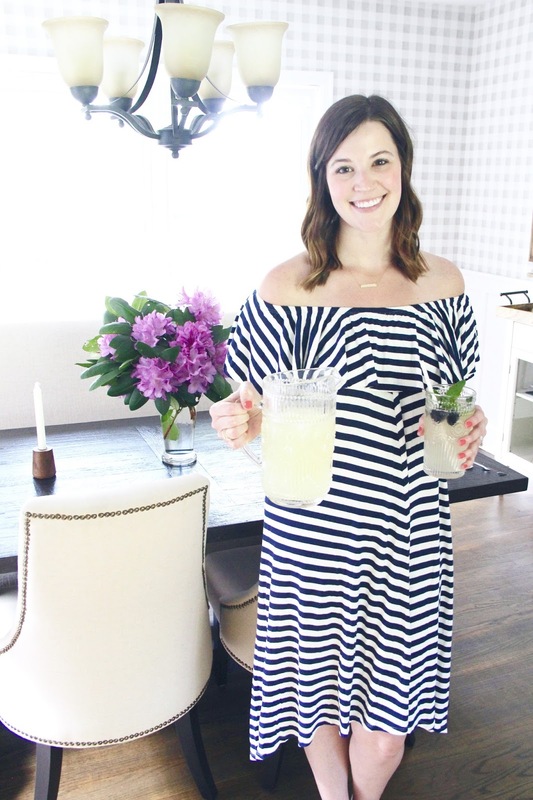 I love sipping on a fun drink in the sunshine on these days. 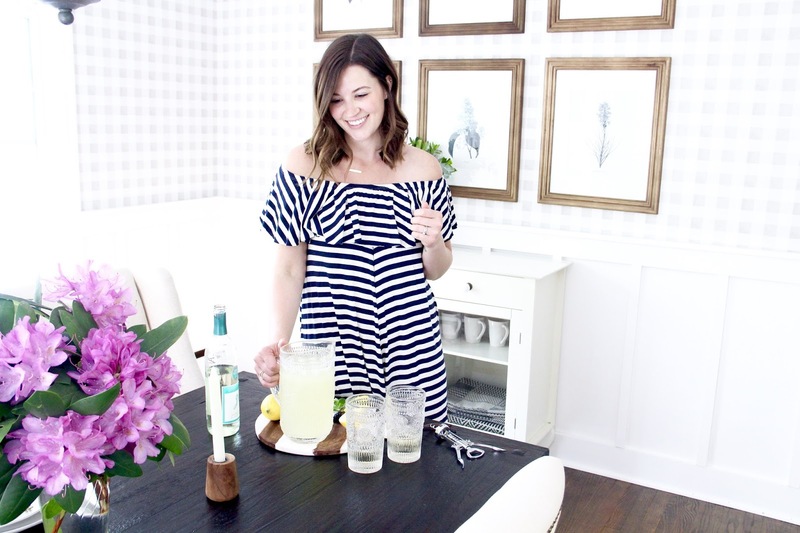 It's perfect for keeping cooled off and treating yourself. Throw a book into the mix, and you've got yourself the best kind of lounging situation. A couple of weeks ago, I discovered a lovely combination. 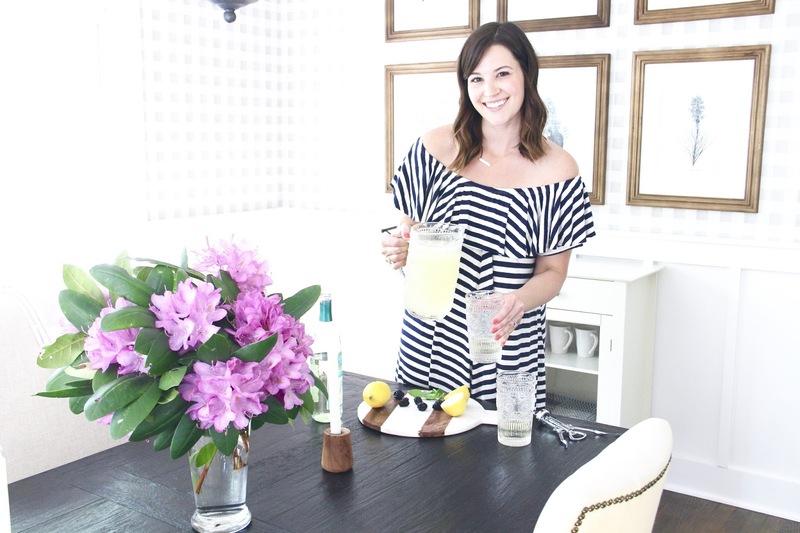 Add some fresh-squeezed lemonade with some moscato. Y'all it's light and refreshing and all kinds of yummy! 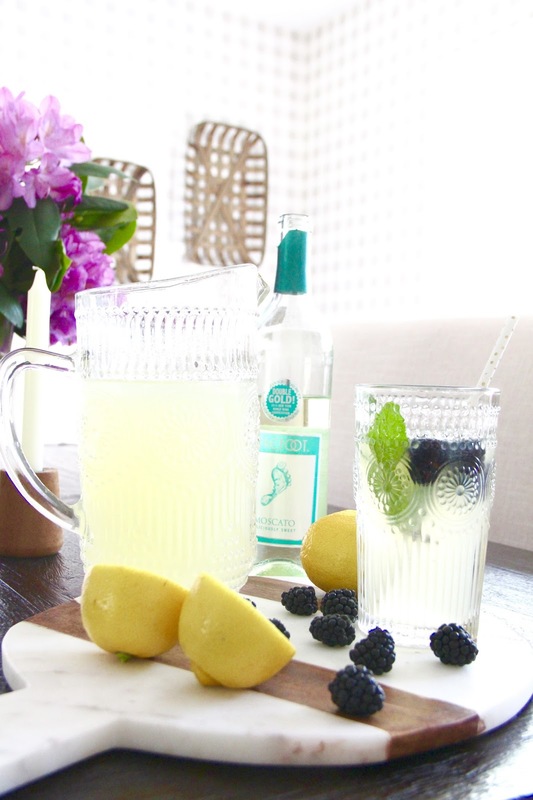 You'll start by making your simple syrup for the fresh-squeezed lemonade. In a small saucepan on the stovetop, combine the water and sugar. Bring to a boil then remove from heat. While the simple syrup is coming to a boil, squeeze your lemons. After you have squeezed them, pour the lemon juice through a fine strainer to eliminate the seeds. 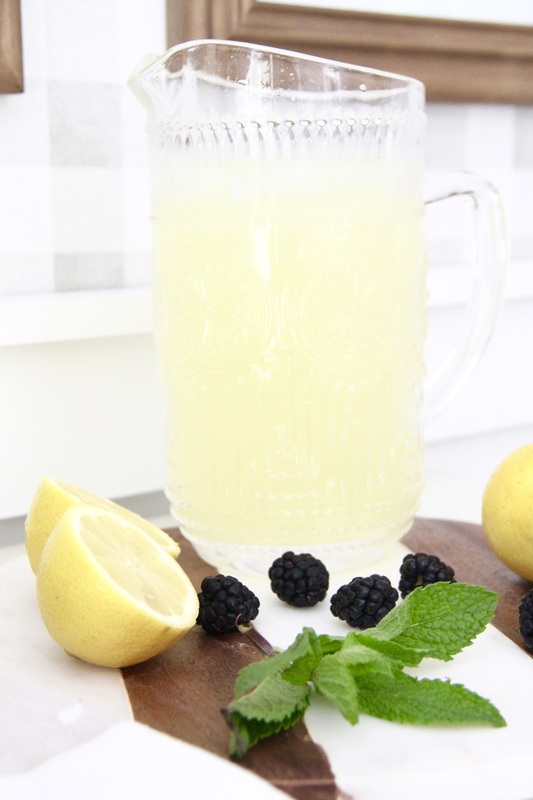 In a pitcher combine the lemon juice with the simple syrup. Stir well. Add water and ice until you reach a desired taste (more bitter or sweeter). 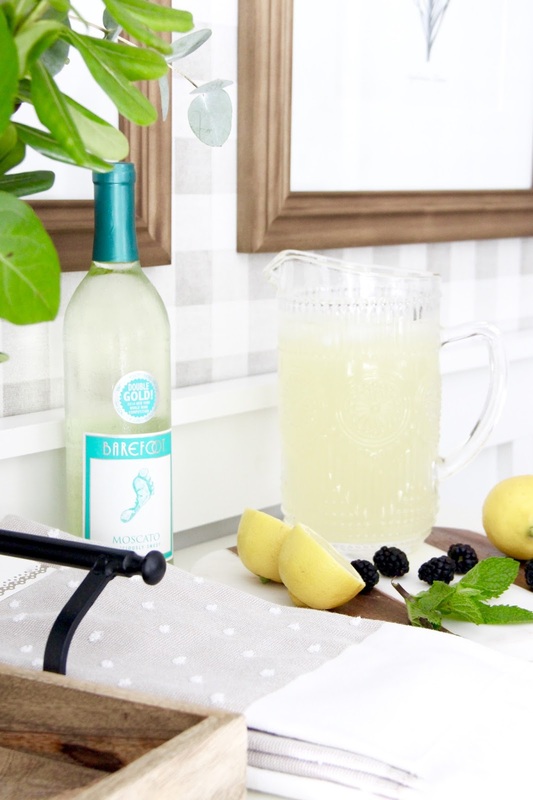 To make your drink, combine 1 part moscato to one part lemonade. 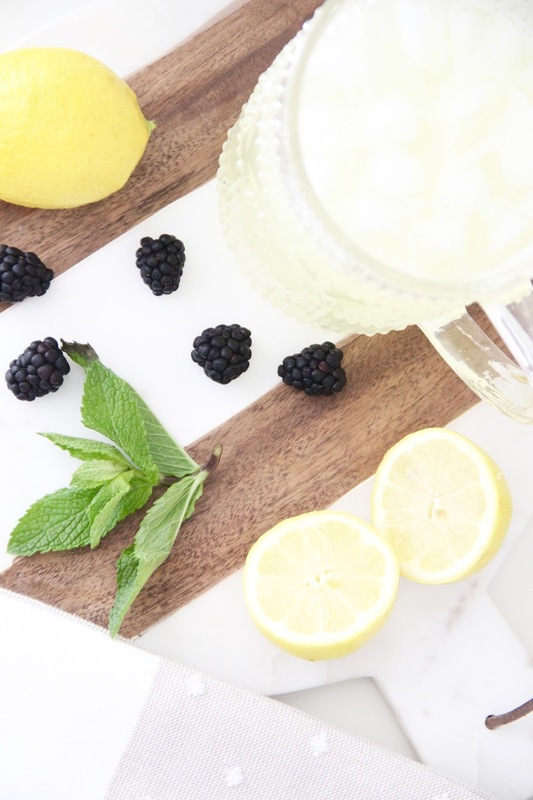 Stir well and top with blackberries, mint, and/or lemon wedges. 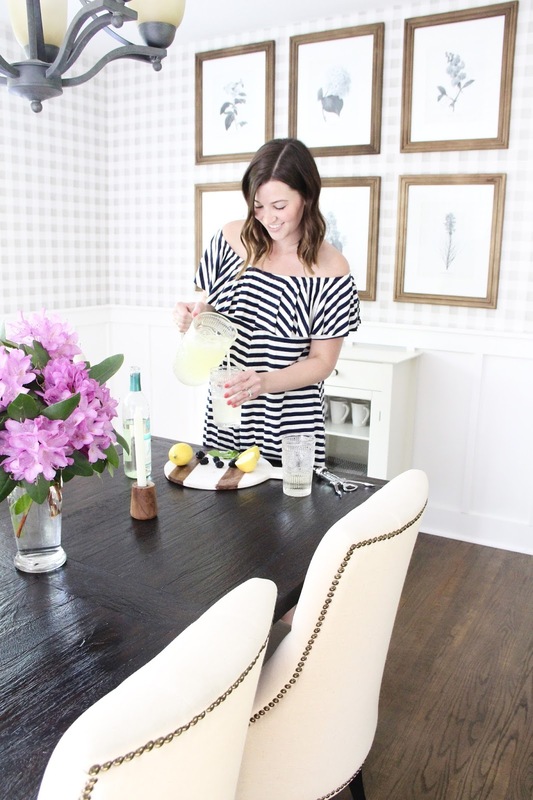 For a little extra fun, you can blend the lemonade and moscato together with ice for a frozen concoction! It's as simple as it sounds and as easy as it looks! If you didn't have plans for your weekend yet, you should add this recipe to the line-up. Have a lovely Friday, friends! 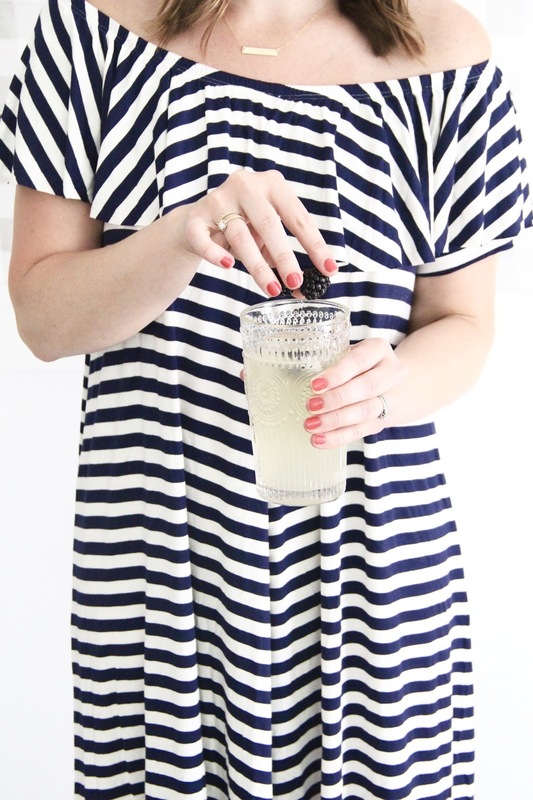 Cheers, to the weekend! **Affiliate links were used within this post. That means if you click one or make a purchase, I might make a small commission. Thank you for supporting the blog!